A collection of twenty-four short films from the acclaimed director is coming to Blu-ray in April. 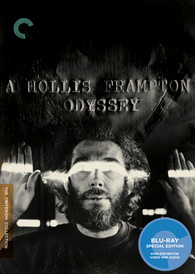 In an early announcement to retailers, Criterion is prepping 'A Hollis Frampton Odyssey' is coming to Blu-ray on April 9. Icon of the American avant-garde Hollis Frampton made rigorous, audacious, brainy, and downright thrilling films, leaving behind a body of work that remains unparalleled. The Blu-ray will feature a 1080p transfer, uncompressed mono soundtrack, and supplements include: Audio commentary and remarks by filmmaker Hollis Frampton on selected works; Excerpted interview with Frampton from 1978; A Lecture, a performance piece by Frampton, recorded in 1968 with the voice of artist Michael Snow Gallery of works from Frampton’s xerographic series By Any Other Name; and a booklet with an introduction by film critic Ed Halter and essays and capsules on the films by Frampton scholars Ken Eisenstein, Bruce Jenkins, and Michael Zryd. You can find the latest specs for 'A Hollis Frampton Odyssey' linked from our Blu-ray Release Schedule, where it's indexed under April 9.